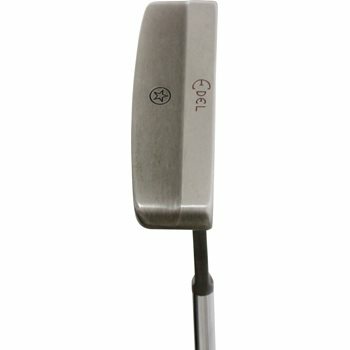 The Edel E-1 Torque Balanced Platinum Putter features Torque Balanced technology which dramatically reduces twisting at impact. It promotes a smooth and consistent motion and has a greater opportunity of returning to square at impact. Torque Balanced technology repositions weight from the toe of the putter and positions it in the heel, this creates a toe-up balanced head. PIXL insert composed of 93 individual pixls enhances roll and feel. Mid-mallet clubhead with a circular back.